I was introduced to the ECM sound by Pat Metheny in the late 70s via his Pat Metheny Group album. I have played that album more than any other album in my collection. Once turned on to Metheny I backtracked through his albums and found a teenage Metheny in Gary Burton’s band. Which led me to the very fluid and melodic bassist in that band: Eberhard Weber. That led me to explore Weber’s ECM catalog which led me to Fluid Rustle. An album title that perfectly describes the contents. 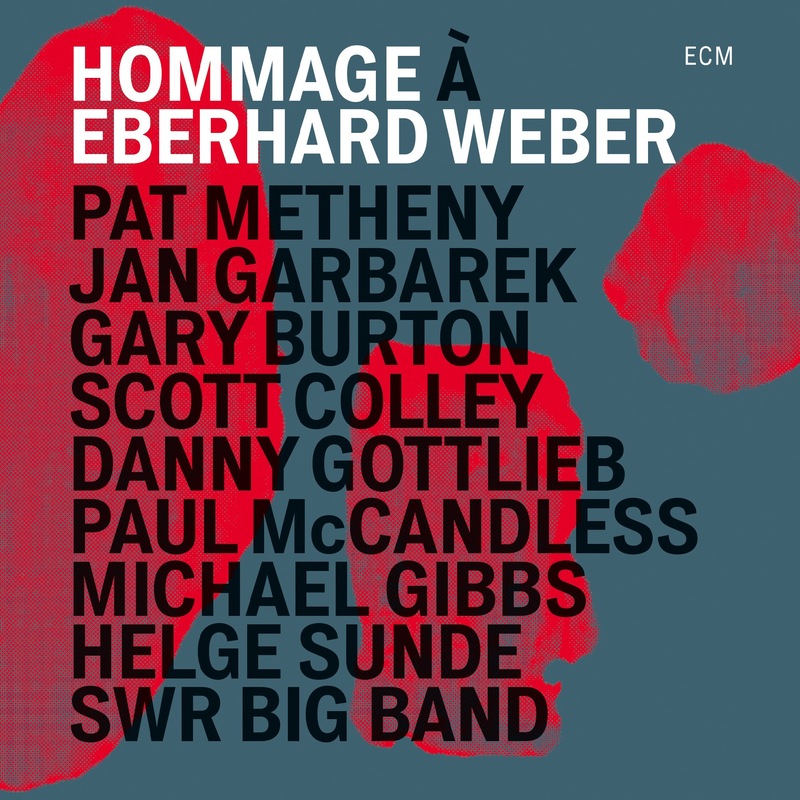 Hommage À Eberhard Weber is credited to Metheny, but it really various artists. No doubt Manfred Eicher was looking for an excuse to issue a fresh title from ECM’s most famous son. Other big names (at least to me) are Jan Garbarek (a frequent sax player on many ECM sides), Gary Burton (perhaps the greatest vibe player of his generation), old PMG drummer Danny Gottlieb and Paul McCandless (Oregon). New to me is the SWR Big Band. The centerpiece of the album is the second cut: “Hommage” a 31 minute composition by Metheny based on Weber improvisations and featuring tapes of Weber (the concert on which this album is based on also had video of Weber to augment the performance). Weber is represented on tape because he has been sidelined by a stoke since 2007. The SWR Big Band backs Metheny. It is great to hear a classic Metheny composition performed by a big band. Metheny has always had grand rich arrangements, but with a very talented big band and brilliant soloists, Metheny really gets some elevation. I have always loved Metheny with horns and to have a full big band is a real thrill. The use of Weber via tape could have been a tacky gimmick, but it turned out brilliantly. I assume we can thank Metheny’s composing, arranging and adventurous musical heart for pulling a most amazing rabbit from his hat. The rest of the album is filled out by Weber compositions. The range from minimalistic, just sax and Weber’s bass (the first cut staring Jan Garbarek), to complex big band pieces with multiple soloists (“Maurizius”). Weber’s tone was his calling card, but this album shows what a great composer he was.